See what real customers think of our design service. When speaking to companies dont be fooled by the sales “patter” they have one goal in mind, your money, and in most circumstances they will do anything to get your sale. We are different, we have no hard sell, no sales speel, just fixed price website packages which you can view online. See for yourself! Make sure the reviews / reviewer has left a website address so you can make sure they are not fabricated. A real website review should have a link to the clients site so you can make sure the review is not “faked” - you would be surpirsed how many business owners fabricate reviews. All totalcreation reviews listed below are genuine reviews left by real happy clients of Total Creation. We dont make up website reviews, unlike some companies, we simply have no need to do this. All the reviews have the real writers details so you can see that they are genuinely satisfied clients who have used our cheap web design services. Any questions please contact us today. Working with Total Creation was quick and easy process at a very affordable price. The team at Total Creation always responded quickly to ensure our web site was live in the shortest possible time. ‘I am very pleased to give ‘Total Creation’ a five star review rating for the work they have done for me on my new website. Having used them once before, I knew that I would be getting an extremely good service at minimal cost. If you are thinking about a website for your business, I can totally recommend that you use ‘Total Creation’, you won’t be disappointed. 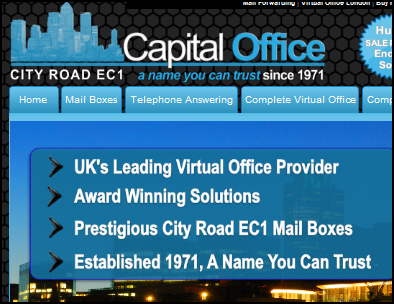 Take a look at our own new website, all this for an amazing £107.99, (15 page bespoke website)’. Thoroughly impressed, almost lost for words. TotalCreation have been so professional and have constructed an excellent website and brand for our business for well under £80. I cant really believe it, but it certianly is as it is advertised. My designer Lee was very helpful and once the draft was setup it was jutst a case of providing some feedback and content and letting them do their magic. 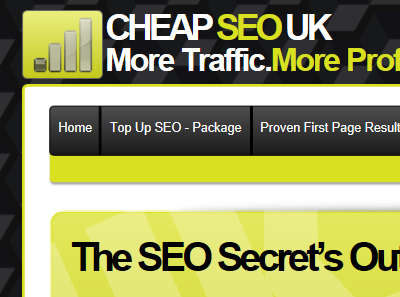 I have had fantastic comments and it really should cost £1000 for a site of quality like mine. I would recommend anyone who wants an excellent website to contact them! I have got to say that Total Creation have done an amazing job on building my new web site. I thought the costs were too good to be true but there are no hidden costs. You place your order, give an over view of work required and within a couple of weeks they start work on your home page. They are very quick then from start to finish working on a page at a time and more than happy to make any alterations. Have a look at my site to see the quality of the work and well under £100. Thank you for the work you put in to creating my site I am extremely happy with the outcome I was very pleasantly surprised on the length of time, and the quality and the finished product. I found this to be a simple way of producing a website and I have already recommended you to a friend. When searching for a designer to create for your company a bespoke website I have no hesitation in recommending Total Creation. The whole process could not have could not have gone smoother. They first came-up with a most suitable design to fit my business needs, any alterations I requested happened practically straight away and the project was finished well within the set time frame and finished with a most professional looking website. 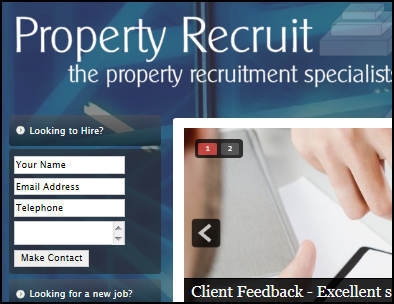 Thank you so much for the fantastic work you did on my website www.proeprty-recruit.co.uk, you stuck to every deadline and made the whole process a pleasure. Any changes I needed were done quickly; the site looks fantastic and is exactly what I wanted. I will recommend you to anyone who wants a website design as you did an amazing job. From the start of the project right up till completion Total Creation were fantastic, they kept everything simple without me having to get to involved in the fine details. They came up with some excellent designs which I extremely impressed with. Total Creation were always very quick to respond to my questions, and really excelled my expectations. We could not believe the price, it really is an impressive service. 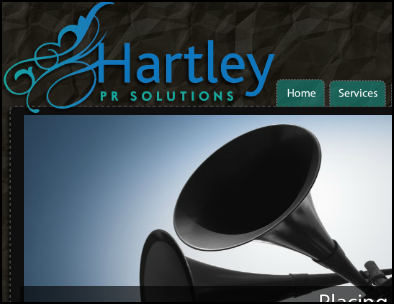 We were an existing business with an old website and it needed a complete overhaul. In tough times it is very difficult to get new clients in the door, and we needed a fully functional website without having to break the bank. We had a very specific type of design & specification needed for our new website. Total Creation was very professional in their approach, they created a website which met and exceeded all of our expectations. 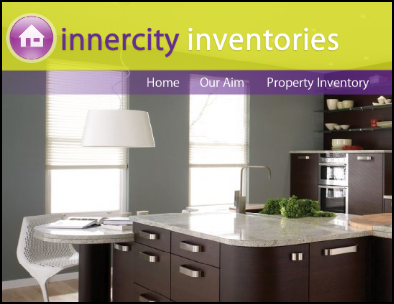 We have now seen a large increase in online web sales thanks to our website, we have seen a 70% increase in online transactions made through our website. We used Total Creation as we did not have a large budget and could not warrant paying hundreds of pounds for a business website; However we still wanted a quality website with a modern design without paying more than our company had budgeted for. From the outset TotalCreation were very professional, design reversions were very quick and they were only too happy to make changes to the design. We were very pleased with the design and it has really helped us gain more clients and an increase our business turnover. We are very happy with the service and would thoroughly recommend TotalCreation to anyone who needs a site designed. Total Creation hat we have not asked my business to write a 5 star review. 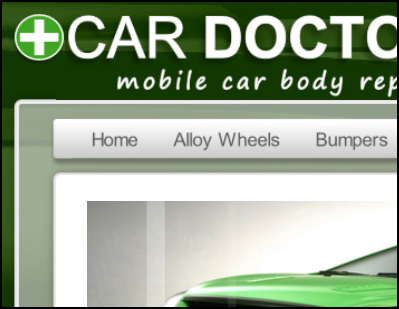 I must say how pleased I am with my website www.cardoctorlondon.com and must comment on how quick total creations work on the website design and all for £74.99. Great Service would recommend. 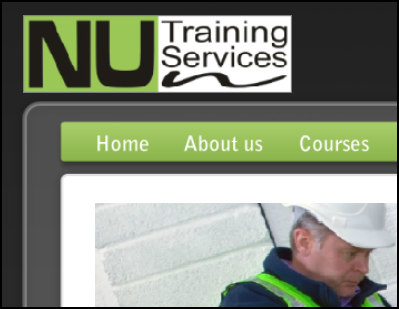 Initially skeptical at paying so little for setting up my company's training website NU Training Services www.nts-uk.org, any fears I had of lack of quality or poor service were soon dispelled. 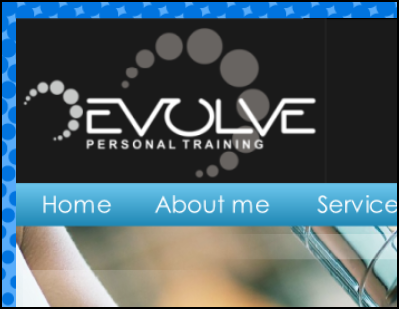 I recentley purchased www.evolve-pt.co.uk from total creation and i could not be happier. The design process was so simple and very very fast my whole website must have took about 2 weeks! all other design companies said it would take at least 4 weeks. I had constant support via email with the designers who worked very fast in building my site. I would not hesitate in using total creation again or passing on to friends. I needed a more professional website for my business and Total creation seemed too good to be true when I found them on google and read the reviews. My website www.bpepc.co.uk is now finished and I am extremely happy with the result. The price you pay for the design is a bargain and I would highly recommend to anybody seeking a professional website at a fraction of the cost. Also the customer support I have had from Total Creation has been outstanding regarding issues I had getting the site live. When I started to look at a web company to design my web page it was with trepidation but I had no need to be concerned. The business is a travel company who provide a bespoke service for travellers to Egypt to the area of Luxor. We needed a site that would be easy to use and encourage travellers to visit Luxor. this we have been provided with. Total Creation were totally committed to providing me with what we wanted in a web site and I have to say I would have no problem with using them again, which I will be doing in the future for a new business venture. It can be said that I am totally converted to Total Creation, try them and have no concerned about something which could be quite stressful. Hey Guys I am Keith Armstrong and when I needed a website for my newly formed Oven Cleaning venture simplyovencleaning.co.uk, i like any person shopped around to find out what was available, luckily I didn't have to look too far as Total Creation was far and away the best and most reasonably priced. The different variatiies of sites offered and the completeness of the service made it simple enough for even me (I clean Ovens etc what do I know about designing a site). The Guys at Total Creation designed my site,got me a web address and set up an Email for me with minimal input on my behalf and then arranged the SEO stuff. If you have ever set up a business on your own I am sure you'd appreciate all the help you can get especially at a bargain price. Very good value - a decent website as good as any other charging twice as much. Very understanding and patient aswell - thanks a lot - price even included enquiry form! 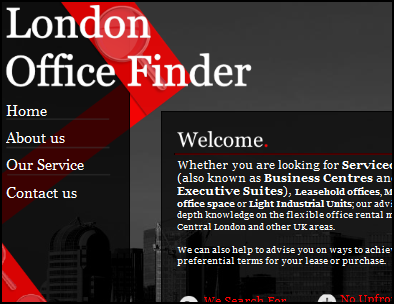 Came across the company via a random search and following discussions signed up for a bespoke website design. Being an a new company (www.homecentred.co.uk) we were a little apprehensive but the whole process of design, amendment and advice was absolutely firstly class. The team provide excellent advice regarding design of logo, colour, branding and wording. Communication was clear and prompt and we would have no hesitation in recommending the company to any other business just starting out. If you are looking for - Absolutely superb value Fast Service An online presence Then I'd highly recommend Total Creations. Our website - www.amology.co.uk was created in a professional manner and extended our existing long-standing business to a new web presence. If you are a start-up company or a business requiring an online presence and don't wan't to spend thousands - try Total Creations. At the prices given, its worth a try at least. I got total creation to build a website for my company, www.premierpave.co.uk. I must say I am totally impressed.I chose the 8 page bespoke package for £74.99 (a bargain in my eyes) and what I got for my money was outstanding. Check out my new site and see for yourself.I got more than what I expected with great communication from my assigned designer throughout the whole process.Top job total...thanks again!! I'll defo recommend to a mate..
We wanted a smart, user friendly website with the ability to have Pay Pal as well. We also wanted to showcase our pictures in a gallery. All this was done very quickly and we always had good communication with our web designer. My name is Nilash Limbani and I am the director of Uxbridge Accounting Solution Ltd (our website www.uxbridgeaccounting.co.uk). I always wanted a dream website for my firm that was also value for money and Total Creation have delivered! What can i say; it seems nothing is too much trouble for them. They always emailed me with updates; always replied to my emails; worked professionally and I felt that I could trust them… now that’s a big thing if you know little about websites. It’s this commitment that people in business need and it helps make the world a better place to live in when you know that their not just after your hard earned money. I will always use Total Creation now and any chance I get to give them customers I will see it through all the way. It takes the pressure off you when you know value for money is still out there and a bespoke website; like what I have now, is within reach...thank you Total Creation...YOU ROCK. Total Creation has done a fantastic job of bringing my old, tiered website into 2011. The speed at which the website was bought to life was incredible. We were up and running within a week of starting the draft of the first page. Each page was designed exactly how I had asked; nothing got lost or watered down through our email conversation.I am not the most technical person in the world but Total Creation were only too happy to help walk me through the bits that I didn't understand. Having got everything I needed in place for my company, the one area where I really needed help was web design. Www.totalcreation.co.uk really helped me every step of the way with my site www.progressfitnessltd.com. They are great value for money; but more than that they added/changed everything I ask them to and gave me all the help I needed. I will work with them again for any of my business website needs. I was just looking for a cheap website design company, after coming across a lot of companies with high set up charges and on-going fees, I then found Total Creation. First of all I was surprised of the price how cheap it was, but with consideration I bought the 8 page package. The whole process with total creation was very smooth and quick. The changes I asked for were done really quickly and efficiently. The website designed was how I wanted it and up and running very quickly, I would recommend total creation and will be using them again. Fantastic value for money. Worked with this company to construct our PPC website together and made what I consider to be a really professional looking website at a very reasonable cost. Staff replied to our queries promptly and professionally. 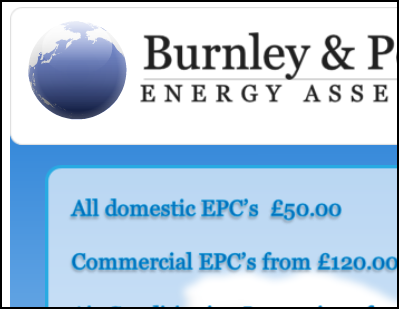 See the results for yourself at info@ppcclaims.co.uk. No hassle, they put together a user friendly site for me which was exactly what I wanted. Excellent service, excellent value, I would recommend Total Creation and would use them again. VERY PLEASED WITH MY SITE. Very helpful from start to finish, would recommend Total Creation to any potential new business wanting to create a website. I was a complete novice and anything I did not understand was explained fully and sorted out. Great value for money I would definitely use them again in the future. needed a website for my new business, LAW Consultancy Services, but I had no knowledge of website design. 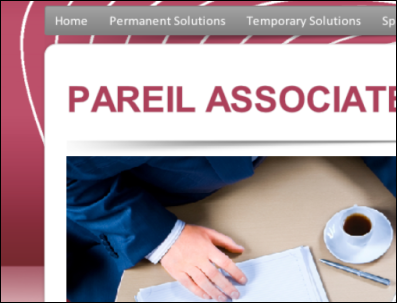 After looking around I found Total Creation as their professional site stood out. They have been fantastic and helped me through every stage of the process and my site is now live www.law-consultancy-services.co.uk. They offer value for money and good customer service. I will definately use them again. We feel being a new business giving the right impression is very important. We knew that the website was the most important tool we could use, after looking at different options I can across Total Creation and found what they offered perfect. From start to finish the process was very quick and effective and the outcome has been more than what we expected. In a final note if you’re looking to have the best ten you need to use this firm. Excellent service and super-fast speed! Very talented group of professionals; will do business again for sure nevertheless will send lots of referrals. Total Creation have designed me a modern clear site for my new business in record time. The process is painless and simple and is excellent value for money. They are very fast on updating my site and seem to be working 24hours a day! My site is www.wightmaintenance.com and is based on the Isle Wight, offering a wide range of property maintenance services. I would definitely recommend Total Creation to anyone who wants a great and affordable web design solution! I've recently purchased a 6 page bespoke package for my new business www.shotech.co.uk from total creation. I have got incredible value for money and feel the website is just right for my new venture. I had spent hours trying to do my own website and would tell anybody in the same position to save their time and sanity and just get in touch with total creation. It was so quick and pain free once you get used to the way it works it's simple and easy to do, and changes can be made just as easily once your website is up and running. I would recommend www.Totalcreation.co.uk to all my friends and colleagues. I've recently purchased an 8 page bespoke package for my new business www.bikini-bodybootcamp.co.uk from total creation. I have got incredible value for money and feel the website is just right for my new venture. I am terrible at anything remotely technical and had spent hours trying to do my own website and would tell anybody in the same position to save their time and sanity and just get in touch with total creation. It was so quick and pain free once you get used to the way it works it's simple and easy to do, and changes can be made just as easily once your website is up and running. I wouldn't hesitate to recommend Total creation and if I need another website in future I'll be going straight to them. Total creation did a fantastic job on my new site www.primus-marketing.co.uk, I was really pleases with the final result and total creation made this a pain free experience always on hand to answer any questions. I will definitely be using Total again in the future. Very efficient and completes work very quickly. Great prices and have recommended to many other start-up businesses. Prestige Licensing Alliance - www.plalliance.co.uk. Total Creation built a website for ACS Visions; www.acsvisions.co.uk. We are extremely pleased with the final result. It was great value for money and turned out exactly as we wanted it. The brief we sent them was well interpreted and the website was designed to the quality we require. Total Creation were very helpful and communicative when building the website and no changes were any hassle for them to carry out. The building of the website was also very fast and efficient. I would definitely recommend Total Creations to others for good quality low priced wed design. Working with Total Creation has been a positive experience. Total Creation has provided us with excellent service at a very competitive rate. I would recommend Total Creation to any company who wants to create or revamp their website. Our website is www.morstar-removals.co.uk. Just had an eight page bespoke website done by Total Creation for our community music arts and education business, the Beat Artistes. Really pleased with the result - did as I asked, kept it simple yet looks special with good graphic ideas and use of photos that really bring out our work. They changed whatever I asked, no fuss - and got the name for me that I wanted - www.thebeatartistes.co.uk. Absolute value for money. Even though they regard themselves as being a cheap web design service, they are no means cheap in what they produce and the help and time they spend to their customers. The team at Total Creation were really helpful and provide an excellent service. My website is just as I had visualised it when I wrote my brief to them and for such a great price they have created a fantastic, professional piece of work. The whole design system is very straightforward to follow - if a technical dinosaur like me can follow it, anyone can! Total Creation have been very helpful since the start of my site for my new business "Subject Support" to it's completion - www.subjectsupport.co.uk. The web designer quickly responded to any of my queries and acted promptly. The guys at Total Creation have done a great job. They asked me to write a review and I gladly agreed. I needed a website built quickly, and they surpassed my expectations. How they can build a website for the low prices I am not sure, but I am very happy they do! The website was built to my exact design requirements, they were very quick to respond to all my emails and I had my website built in just over 2 weeks! The design team aver very friendly and answered all my questions. I am delighted with the results of my website that was designed by Total Creation. They have been extremely professional and made any changes that I have wanted very quickly. I would definitely recommend them to anyone that is looking for a quality website at a very affordable cost. Excellent communication throughout; with my site actually being completed on a Sunday evening. Am definitely going to use again and would recommend to anyone out there not just looking for cheap web design, but quality web design! Total Creation have been incredibly helpful with the development of my brand and launch of my business. They responded to all of my requests much quicker than I expected and surprised me by helping to edit my site even on bank holidays and weekends! They also got the site up and running in a third of the time most other companies quotes for. The site they produced was of a fantastic standard and I am so pleased with the outcome! My cleaning business has received a record level of business since publication of the site. Can't wait to work with these guys again. I would like to commend you on the website that was designed for my business. I have had so many clients say how impressed they are with the layout and content that this is the reason they chose me instead of other companies in the industry. Thank you for your patience and help in getting just the right professional look I required. Total Creation didn't ask me to write a 5 star review. I feel I want to say what a brilliant service total creation provide. They have built me a fantastic web site in quick time. It looks and feels very professional competing with my competitors has now become easier. Great work. Thanks. I will now buy your SEO package to complete my project. The website has easy to follow instructions. Changes you want are done almost instantly. any delay in creating the website was down to myself not them. Replys are asap on email and phone also. The website looks fabulous and I can't believe I have achieved it in such a small price. I will definately be recommending the site to others. Really happy with the outcome - definite value for money. My business name is Lata's little cake shop and now with the help of total creation I can advertise this easily. I came across Total Creation by chance through a Google search. As such, it was hard to know without a trusted recommendation whether they would be any good. I found this review site and felt reassured and so wanted to add my own experience for others to view.The value for money I obtained via Total Creation was second to none. I had obtained two other quotes prior to selecting Total Creation and both were very significantly more expensive. Our final product www.jewishpoliceassociation.org.uk met and continues to meet, all our needs and more importantly adds scope for expansion. What can I say about Total Creation, in short WOW! I asked them to make a website and a logo for my company to promote an energy brokerage service. From there on they made my site really quickly and all of this was done over e-mail. My site at www.cheapbussinessenergy4u.com looks amazing and it only cost £80.00. The service is great, their designers inspirational and there turnaround time is unbelievable. I honestly don't know how there is any completion with Total creation in the market. They undercut others on price but also outperform others on everything else. A really quality company, I will recommend them to all when I can. I have nothing but praise for the guys at Total Creation. Nothing is ever too much problem; they are also very fast in replying to my email requests. The layout of the website is excellent. 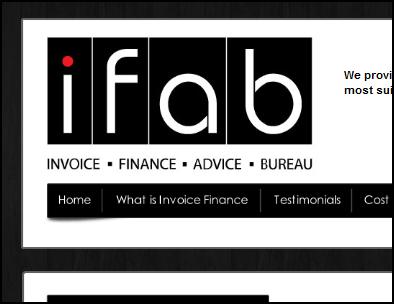 It is certainly the best value for money ‘website design’ company I have ever spoken to and I can't praise them enough. We are Kool A.M. a community based radio station. Our address is www.koolam.co.uk. We have had a lot of communication and praise about the website from our listeners. Above is my web site which www.totalcreation.co.uk created for me. Take a look at it for yourself as pictures speak louder than words. I went with this company as there was plenty of positive feedback left about them. The price is by far the cheapest around as some companies try charging £300 for a basic package which is a rip off for what it is. I have already recommended these guys to a friend of mine who is also looking to start up a new business like myself. www.moyoltd.com - Professional Handyman and Property Maintenance Services! I am very satisfied and pleased with Total Creation team! They built me a spectacular first class site!The team is very helpful and giving very good advice and help! Would not hesitate to recommend to anyone!Always got a fast reply and progress!I needed a professional, stylish website and Total Creation delivered exactly that. The design was exactly what I wanted.I also found Total Creation to be honest and ethical in all my dealings with them.I am offering my website as a reference for Total Creation! 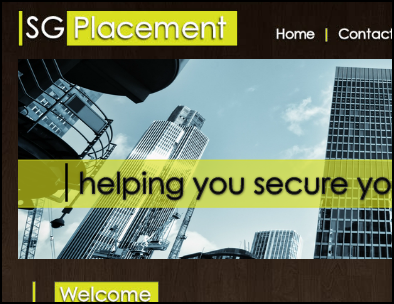 SG Recruitment used Total Creation, Great Service, Lovin my site! 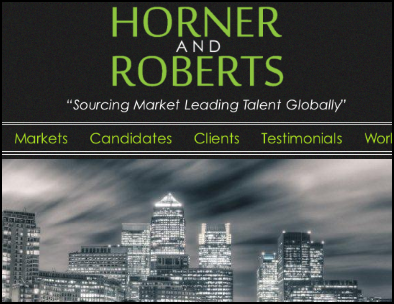 I used Total creation for my recruitment site, SG Recruitment, I am a small sole trader and i didn’t need a massive website, just 5 pages, but it needed to look slick and smart! Was very fussy! Total Creation produced me a site that I was very happy with; they made many adjustments, as I had an idea of how I wanted the site to be. They were very quick in replying and always made changes without any fuss, to be honest I must have asked them about 10 times, as I was so fussy, but they just got on with it, and I am very appreciative. Would recommend, very good price, great service, thanks. I chose a 3 page bespoke website, I was asked what I wanted the website to look like, and supply content and photos. 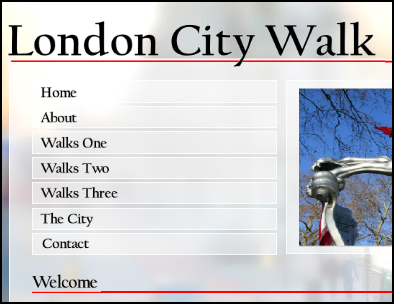 The website was constructed very quickly, any questions or queries I had were answered quickly. The website looks brilliant; it looks very expensive, the price was extremely reasonable. I would thoroughly recommend the services of total creation to anyone. Thanks for the good work! Firstly..... amazing company... the price is out of this world... my company is called DAVCO GROUP, we specialise in building construction, kitchen fitting and commercial and domestic cleaning. I used Total Creation for my new business OL-Design website www.ol-design.co.uk it was a small business start-up so the need to keep costs down were of high importance. Total Creation offered excellent service and value for money. Their professionalism, speed and quality of work is one of the best I have come across for website services. Will do business again and recommend there services to anyone. Total Creation are an excellent company to deal with. They designed my website www.lamsecurity.com with everything in mind that I asked for. I worked on a very tight schedule & my website needed to go live very quickly & Total Creation understood that. They offered me some great ideas about different things to maybe think about, which actually made my site look better. Their customer service is fantastic & they always answered any questions I had in very quick time. Got Total Creation to create my data capture website; primarily for attracting high net-worth individuals interested in ethical investments (http://www.global-investors-network.com). They were really good fast and prompt with responses and changes, decent value for money as well. Would definitely recommend them to anyone looking to get a website completed quickly and that looks clean and professional too. I Would Like To Say How Pleased I Am With My Completed 8 Page Bespoke Website Designed By Total Creation. My Budget Was Limited Due To Moving To New Premises And I Needed A Cheap But Professional Website. The Team At Total Creation Provided This And I Will Definitely Recommend Them To Others In The Future. Bernard Lewis Owner Prestige Valeting. Total Creation has just completed my website www.freshoutlook.net, for my carpet and upholstery cleaning business, Fresh Outlook. I was very pleased with the excellent and prompt service and would certainly recommend them. All queries were answered promptly and everything was explained clearly. Total Creation are excellent value for money and work very hard to get your website the way you want it to be. They have created 2 websites for me so far www.thecontentedparent.co.uk and www.happy-ever-laughter.co.uk. Both times they were courteous, helpful and overcame any hitches with grace and good humour.If you're looking for a well-designed budget website company you can't do better than Total Creation. We run a Pat testing company called Kingdom Testing, www.kingdom-testing.co.uk. At the end of the year we decided to have a more professional website built and were referred by a friend to Total Creation. We are very pleased with the value, quality of site and the service we received and will definitely be referring them to our own clients. All new start-up businesses these days require a website, the total creation team where very helpful and provided excellent service. My website www.procuretools.co.uk is very simple but does get the messages across to potential clients. I require a website that was value for money and got this from total creations. From time to time I would contact the total creation team to make some changes to my website, this was more or less done straight away and I was very happy with the service they provided even after the website as created. I am now working on another project with total creation on another website and can’t wait to get it LIVE. Great value for money. Very helpful and helped to create my ideas into my website www.ljbpropertyservices.co.uk Total Creation has made my website for a fraction of the cost of most other web designers. I am very happy with the results. I have to say i was very impressed with the professionalism of the design team, they managed to design the website exactly as i wanted it and we were up and running in a few weeks! To which i am very grateful. I have had a great little website built for me for an unbelievable £24.99. Total Creation have built me a few websites now and I am very happy to recommend them to anyone. 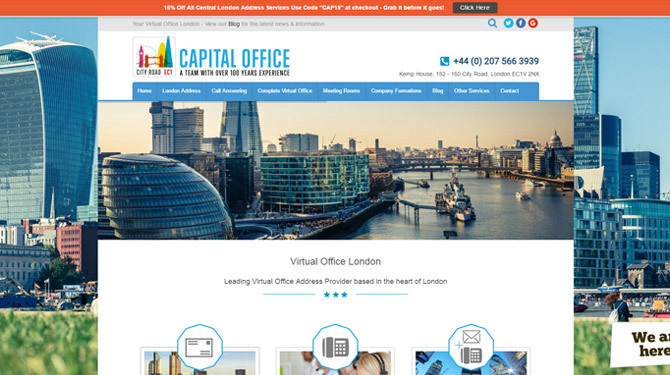 We used Total Creation to update our existing website. The process was easy to follow and the designer was always quick to respond to comments, and as a result we had our new website up and running quickly. Make sure the reviews / reviewer has left a website address so you can make sure they are not fabricated. A real website review should have a link to the clients site so you can make sure the review is not “faked” - you would be surpirsed how many business owners fabricate reviews. All totalcreation reviews listed below are genuine reviews left by real happy clients of Total Creation. WOur web design portfolio consists of all custom made bespoke websites built to the clients exact requirements. Unlike other web design companies we don’t stop making design changes until you have a website design you are proud of. All of the websites in this portfolio are available to purchase on our bespoke web design page. What happens when I buy your Cheap Web Design Package online? When you purchase one one of our cheap web design packages online, a member of our web design team will get in contact with you. This web designer will be your allocated design who will work with your from start to finish. The design process starts with gathering information from you, and then creating a first draft website based on the information you provide on a web design form. We offer Cheap Web Design, Bespoke Web Design, Cheap SEO, Cheap Logo Design, Ready Made Website, and you can view our web design portfolio here. To begin the web design process all you need to do is purchase one of our cheap web design packages via our website, once you have made the payment you will receive a email based web design form to your paypal email address. The web design form will form the base of your website first draft and will help to create a beautiful, modern elegant website. If you are not happy with the first draft design, dont worry we will redesign the first draft as many times as you want until you are completely satisfied with the first draft. Total Creation offer unlimited re-designs on the first draft of your website with our cheap web design packages. This means you can rest assured in the knowledge that you will end up with your perfect website. We work together with you until you get the end result you want. The first draft is designed to give you a clear view of what your website will look like when fully completed, this will include colours, images and layout of the site. Once the first draft website has been approved, your web designer will then move onto adding content to the pages which you will provide*. Cheap Web Design, Cheap Website Design, Web Design. How can we help you with your Web Design? We're a cheap web design company who offers website design that will showcase your business on the internet and attract the clients you need and deserve. Our expert team of website designers specialise in cheap web design, ecommerce web design, bespoke website design, ready made web design, cms web design, cheap logo design and web design. If you want to create a new website for your business, we have the website design, branding, and marketing skills you need. View our bespoke packages today. When choosing a website design company, or cheap web design agency, it is very important to have a web design built to showcase your business and to set you apart from the competition. The website needs to market your key selling points as well as helping turn potential customers into real clients. Our web design make sure your website looks good and works well, and that you get as many online Internet visitors as possible, getting to see what your business does and helping them get in touch with you. Our team's web design experience, SEO know how, will help your business to thrive online. View our Cheap Web Design packages online.